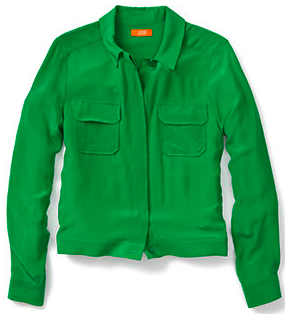 For this week's Cheap & Chic, we are featuring this Silk Blouson Shirt from Joe Fresh. With spring on its way, we are so excited about all the fresh new colors hitting stores. This green is one of our favorites, and we love that it has the double pockets. Even better, we love that this silk shirt is under $50!